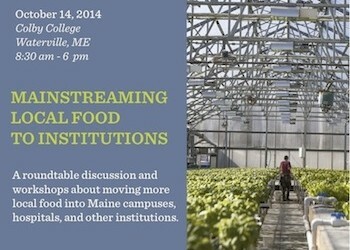 Join us on Tuesday, October 14 at Colby College for a day of discussion and workshops exploring the opportunities for strong farm to institution partnerships in Maine. This is a free event, but you do need to reserve your spot in advance. Lunch and refreshments will be provided by PFG & Sodexo.